If seeing something covered in glitter makes your heart skip a beat, you're probably a magpie. Technically, magpies are a type of bird, but it's also a term used to refer to people who are (very) attracted to bright shiny objects (e.g., this editor). And the just-released Birkenstock collaboration with Opening Ceremony is sure to please anyone who fits that description. 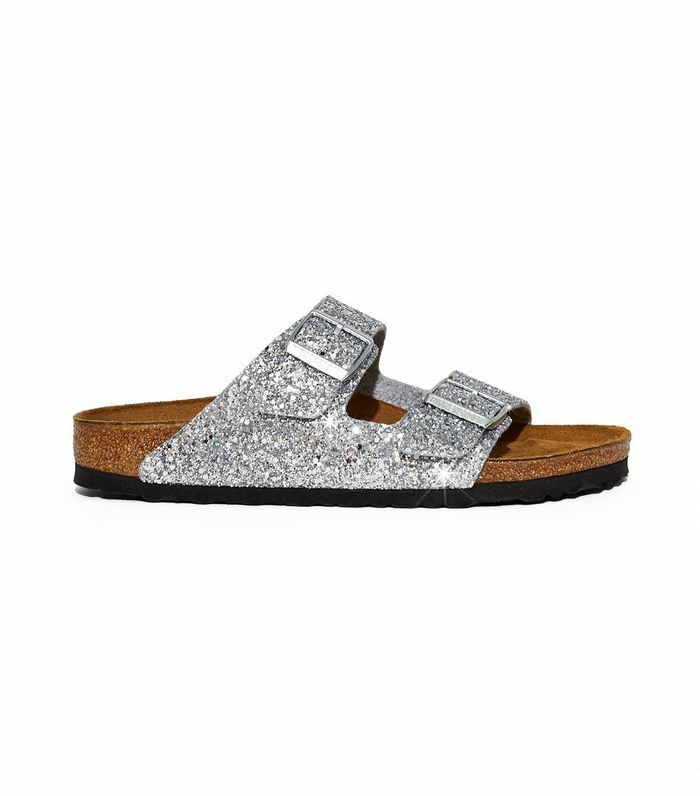 The glitter-covered Birkenstocks, which were made in both the Boston Clog and the Arizona Sandal, made their debut at Opening Ceremony's recent runway show at Disneyland, and anticipation has been high ever since. This probably explains why in just a matter of hours, the shoes are sold out in the clog style and are quickly flying out of stock in the sandal style (which is available in both silver and pink). If that makes your heart skip a beat again, we highly suggest scrolling down to add a pair to your cart. If you missed the boat, all we can do is hope that magpies unite and Opening Ceremony listens (and restocks). Available in sizes 35 to 45. Available in sizes 35 to 44.